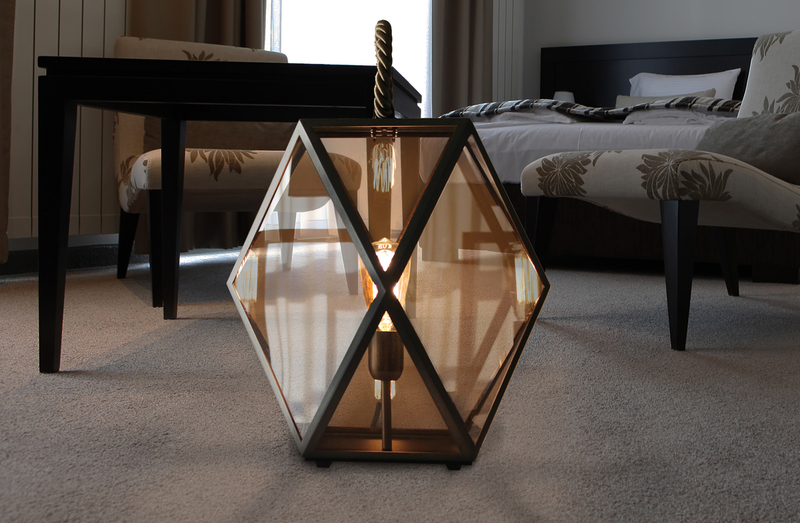 Lamp with satin bronze finished frame. Handle in dark honey braided silk. Amber finished acrylic diffuser. Three sizes available. Lamping: E26, 23W max.